Easy access to your speedloaders! Simply strap this case to your belt, and have your speedloaders on hand when you need them. You never know when you might need to reload, and this case makes the task easy. Nylon Speedloader Case is rated 4.7 out of 5 by 113. Rated 5 out of 5 by RP709 from Better than the picture I figured since I gambled on this case (blk) I would add a few more pictures so you can really see what your getting. They are actually pretty decent for the price, the belt loop is not a quick detach style but other than that I find no fault. My photos show it on my BigFoot gun belt, no issues getting it on but it has room to slide around, and on a Crossbreed buckle free belt, also no issues getting it on and the thicker leather works to its benefit. I have 2 Ruger 5 star. 357 5 round speed clips in them both and you could easily fit a six round possibly a 7 round speed loader. All around good buy and they stay where I put them, always a plus. Rated 4 out of 5 by TC52 from Speedloader Case Just what it was supposed to be, a cheaper, more flexible option that the leather duty belt option. Rated 5 out of 5 by ToddyBuck from Came on time today. Like always with SG it came well packaged and undamaged. The product itself is made from a lighter, thinner nylon, but the stitching was good. No lose dangling threads,and the stitching was tight. I have two 7 shot, 357 mag speed loaders I use in my Taurus 627 Tracker and they fit fine within this holder. Keeps them secure, tight and they dont rattle. 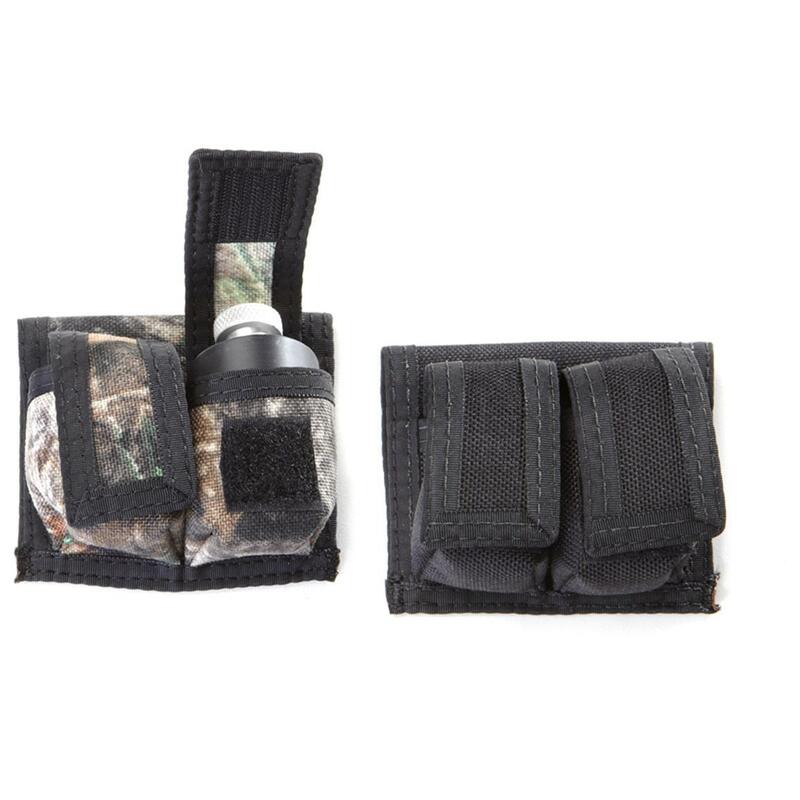 Rated 5 out of 5 by 75Ranger from does what it's intended to do for low price Bought the black nylon 2-pouch. Fits speedloaders for my 38 spcl and my 9 shot 22LR loaders. Very light, not bulky. Rated 5 out of 5 by Almost 40 from Great quality! Used to hold my speedloaders for my 38 special. Works very well and seems very sturdy. Rated 5 out of 5 by Ralph from Good price My wife love these speed loaders just drop them in ready to shoot thank you. Rated 5 out of 5 by DW Clark from Love the price and it fit well I put it on my belt and it work real well it hide real well to can get my round out of it just fine. made it a lot more fun to shoot my gun and load it faster for me. Rated 5 out of 5 by G Mike H from Handy! I use this to carry 7-round HKS speed laoders for a S&W 686. Nice little package, well stitched, good Velcro closures, easy and fast access. The camo blends in well with other patterns. Good little case!